I have a machine with operating system VMware ESXi with RAM 16 GB and one harddrive 300 GB. Proxmox VE 3.4 just release and i want to try to install the new Proxmox VE. Caused Proxmox VE is baremetal OS, all my data would be removed if direct install to my machine. I do not want all data on my VMware ESXi removed caused install Proxmox VE. Finally i am try to install Proxmox VE on top VMware ESXi. For using hardware virtualization even though on top VMware, this is what i do for my Proxmox VM. In this section i am using VMware vClient for remote access. If the result of the above command is zero (0), your Proxmox is not support Virtualization. 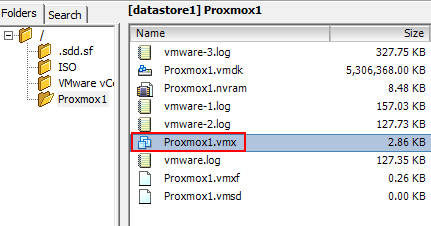 If the result is 1 or more, your Proxmox has been supported Virtualization. What version of ESXI you use?